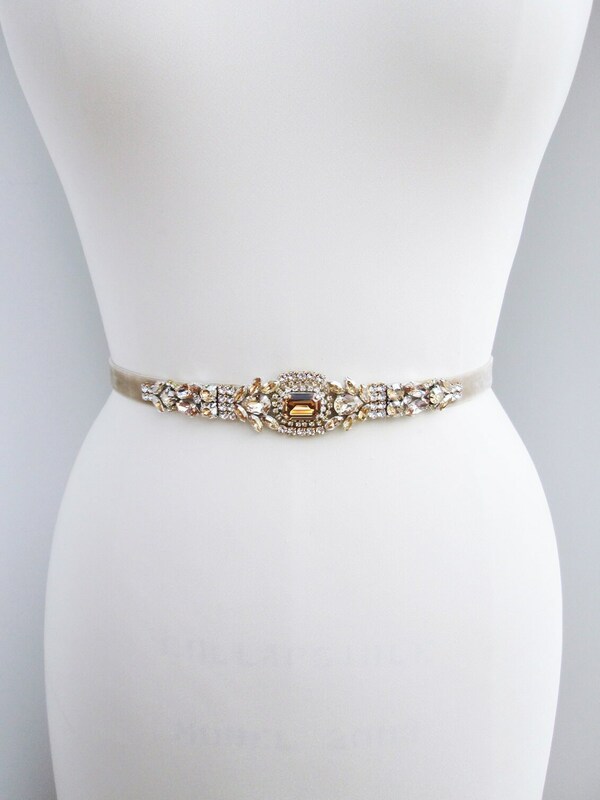 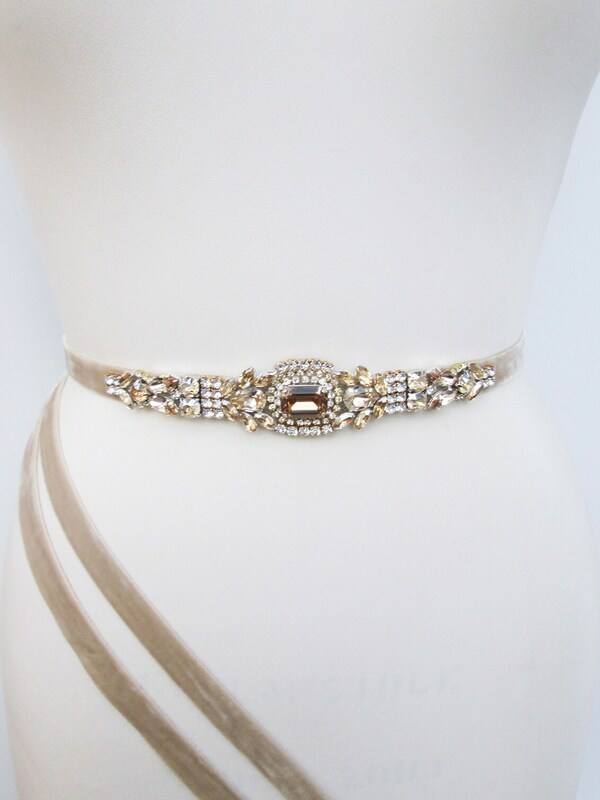 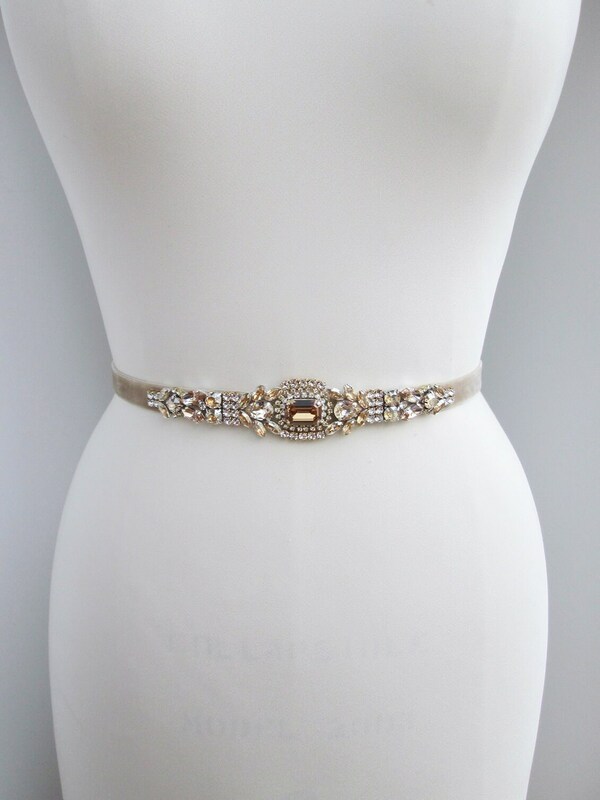 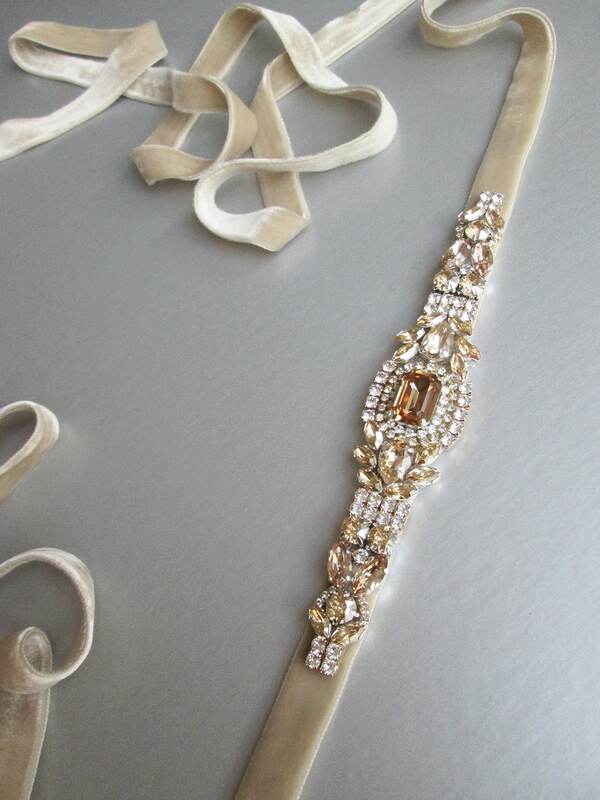 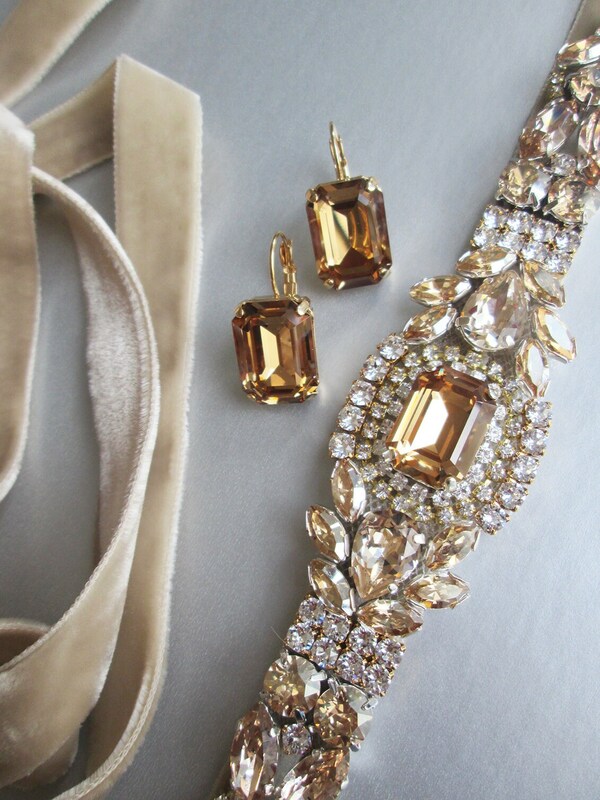 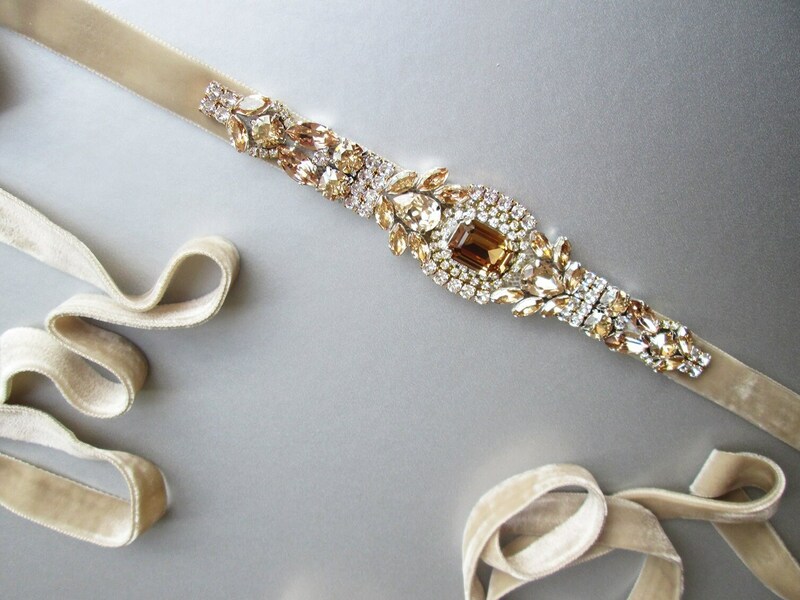 This luxurious vintage inspired belt features a beautiful honey champagne Swarovski crystal design appliquéd on a soft velvet sash. 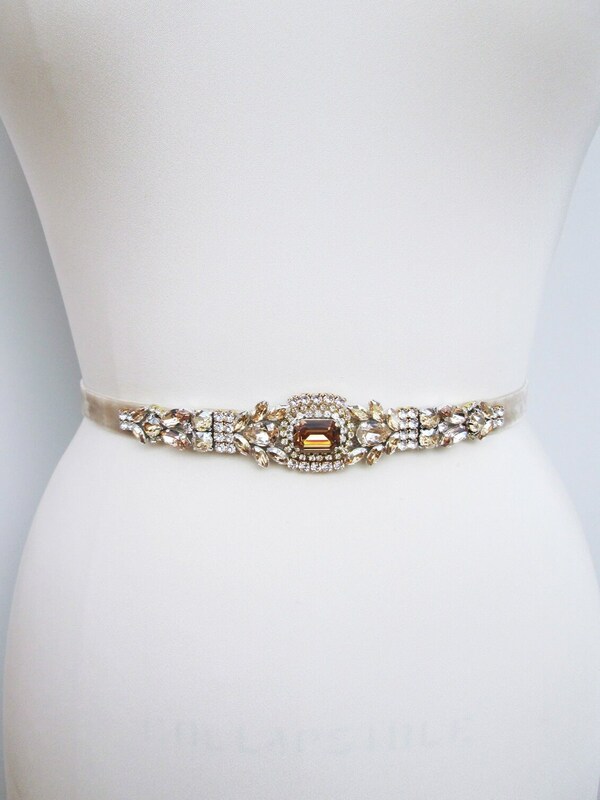 The crystal design measures 6 5/8" long and 1 1/4" wide in the center. 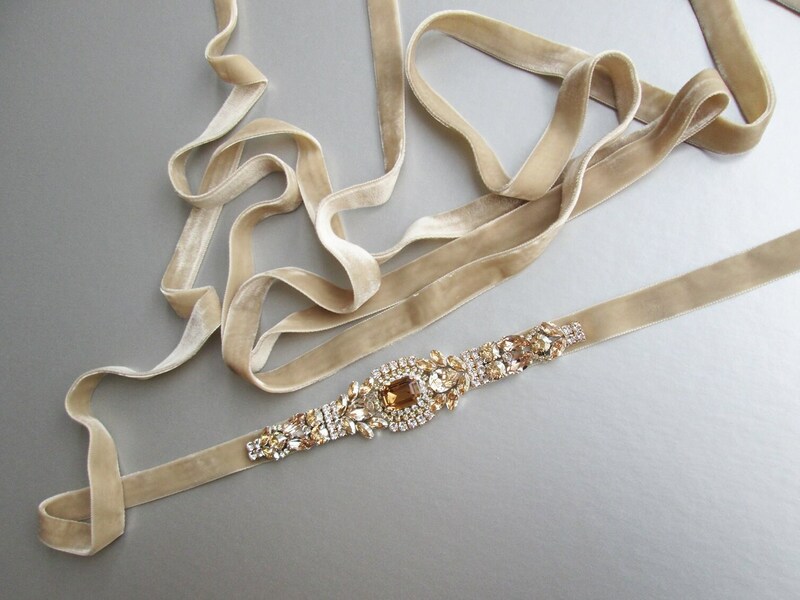 The double face velvet ribbon measures 5/8" wide and 140" long. 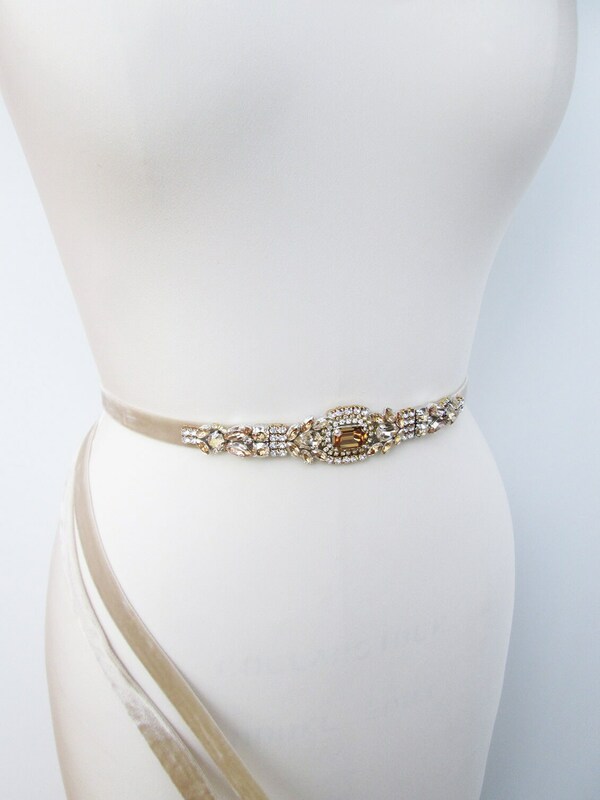 Available with champagne or ivory velvet ribbon. 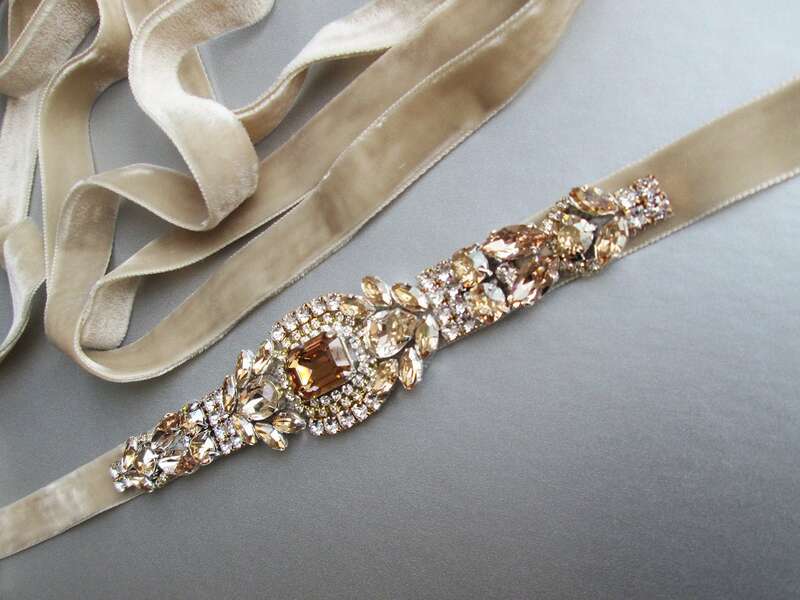 Shown in the photos with champagne velvet ribbon.